Another piece of the puzzle has been put into place. Universal Pictures and Focus Features have cast one of the final roles of Fifty Shades of Grey. 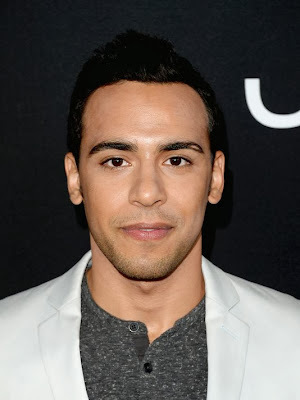 Deadline.com describes it as one of the final "major" roles and it has gone to Victor Rasuk. He'll play Jose, the aspiring photographer whose close friendship with Anastasia Steele (Dakota Johnson), causes problems for him with Christian Grey (Jamie Dornan). Rasuk, 29, has had a variety of TV and movie roles. He played skateboard pioneer Tony Alva in 2005 movie The Lords of Dogtown. He did a stint on ER playing a doctor in 2008. And he starred in HBO's How to Make It in America in 2010. Rasuk also ha roles in this year's Jobs movie.